Good quality chocolate bars are so expensive in Malaysia, by the time I made my own chocolate sauce or ganache I would've spent so much money. After much research and reading about making chocolate ganache from powder instead of cooking chocolate bar, I thought I'd be adventurous and give it a go. After all, what have I got to lose? I found a pretty simple instruction on WikiHow for harder chocolate, and made some adjustment based on the assumption of the consistency I'm after. I'm using Delfi Unsweetened, which is really rich in flavour and reasonably priced. 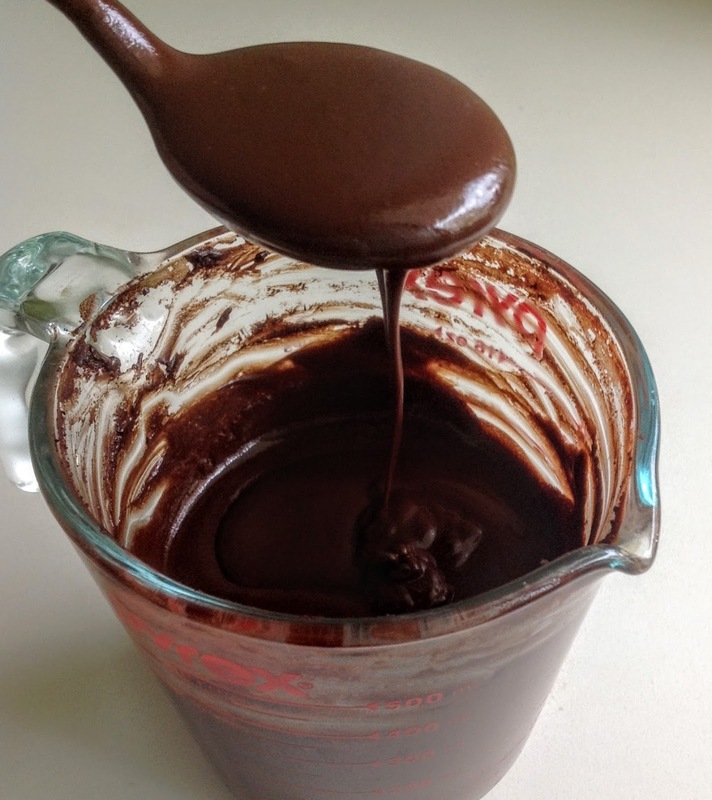 Melt the butter in a bowl placed over a pan of simmering hot water, then stir in the cocoa powder to make a smooth cocoa paste. Add in the sugar and mix well till it's all dissolved, then gradually pour in the milk a little at a time, stirring constantly.